You can get £10 off fuel thanks to a new Easter promotion. 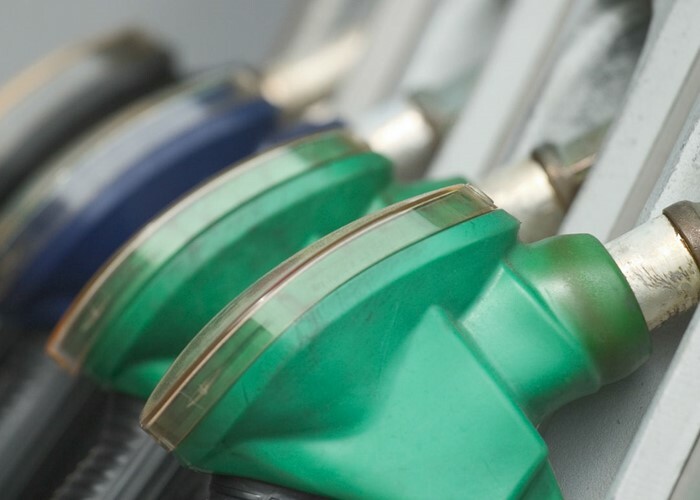 Read on to find even more tips for slashing your fuel bill and learn how to find the cheapest petrol and diesel prices near you. Improve your car's fuel efficiency! If you’re planning to brave the traffic jams and drive somewhere nice this Easter weekend, who not bag yourself some cheap fuel for the journey? You’ll need to act fast, but you can bag £10 cashback when spend at least that much on petrol and diesel at a supermarket forecourt (or other selected station detailed below). As with any promotional offer, you’ll need to jump through a few hoops to get the £10 fuel offer. You’ll need to sign up to TopCashback (existing members sadly don’t qualify) then snap a photo of the receipt from your fuel purchase and upload it to the site. Make sure your photo capture the date and time of purchase as well as the fuel station name or it won’t be valid. The reason we said you’ll need to act fast is because, despite the offer only launching today (15 April), it expires on 21 April or once 10,000 cashback offers are claimed, whichever happens sooner. If you miss out on the cashback offer or want to know how else you can save, read on for more tips on saving money on petrol and diesel. Please note that the rest of this article is an evergreen guide to saving on fuel for new readers. Regular readers will likely be familiar with the tips as it has featured in the newsletter before. The price you pay for petrol or diesel will vary depending on where you live – and there are even greater variations depending on which specific fuel station you choose to fill up at. Make sure you do your homework to find the cheapest station in your area. You can do this easily enough by entering your postcode on PetrolPrices.com and comparing prices nearby. Various petrol stations offer loyalty cards, which can help you save on the cost of filling up. For example, Texaco operates the Star Rewards scheme. You get one point for every litre of petrol or diesel that you buy. Once you hit 500 points, you can turn that into a £5 voucher to use the next time you fill the car. You'll get 50 bonus points for signing up, getting you well on the way to the 500-point mark. Alternatively, you can convert those points into vouchers for retailers including Argos and Marks & Spencer. Shell operates a similar scheme called Shell Drivers Club, where two points are effectively worth 1p. You'll get one point for every litre of Shell Regular diesel, Shell Regular unleaded and Shell Autogas LPG, or two points for every litre of V-Power unleaded or diesel. Further points can be earned when you spend in the service station, or if you get your car washed. Finally, you can bag a bonus 200 points by registering your card online. You can then convert 500 points into a £2.50 voucher. In 2019, BP is to drop out of the Nectar point scheme and launch its own loyalty scheme, although further details are yet to be confirmed. In June, Esso will join the Nectar point scheme. Search for cheaper car insurance with Confused.com. Don't simply renew! Using the right credit card to pay for your fuel is also an easy way to save cash. The ASDA Cashback Plus Credit Card will give you 2% cashback on fuel purchased at ASDA (as well as on all ASDA shopping). However, there's a £36 annual fee to consider. The ASDA Cashback Credit Card, meanwhile, pays 1% cashback on all ASDA fuel purchases and has no annual fee. As always with cashback cards, only use them if you can pay off your debt in full each month, or the interest you rack up will far outweigh the benefits. The final way to ensure that you pay as little for your petrol and diesel every time you fill up is to make your fuel go further. Here are some simple things that the motoring experts at WhatCar? recommend doing to improve your fuel efficiency. Take those bulky items out if you don’t need them – if the baby is staying at home, so can their buggy! Things like bike racks and roof boxes add extra wind resistance, so your car has to work harder. If you aren’t using them, take them off. Get your car serviced regularly and pump up your tyres. Look after your car, and it will look after your bank balance. Work out your route before you head off. That way you won’t end up driving further than necessary, or get stuck in traffic. Do you really need the air con on? Unless you really need it, leave the air conditioning off. The same goes for all other electrical appliances in the car. Be gentle with your gear changes and braking. Some modern cars are fitted with engine stop-start technology. Making the most of that, by taking your foot off the clutch when you are stationary, will help you save fuel. WhatCar? research suggests that driving at 80mph uses up to 25% more fuel than going at 70mph.